The Brooklyn producer/rapper's new album Late Knight Special debuts October 30th via Pro Era and Cinematic Music. After catching heady praise for his debut single 'Knight Time' on Beats 1 Radio, Brooklyn rapper/producer Kirk Knight introduced yet another staggering single from his upcoming album Late Knight Special with 'Dead Friends', featuring guest super-stars Noname Gypsy and Thundercat. The Pro Era alum is perhaps more familiar as a producer, notably on Joey Bada$$'s mega-single 'Big Dusty' from last year. But on 'Dead Friends' and the previously released single he launches an emphatic imprint of his own, proving he's much more beyond his stellar production work. 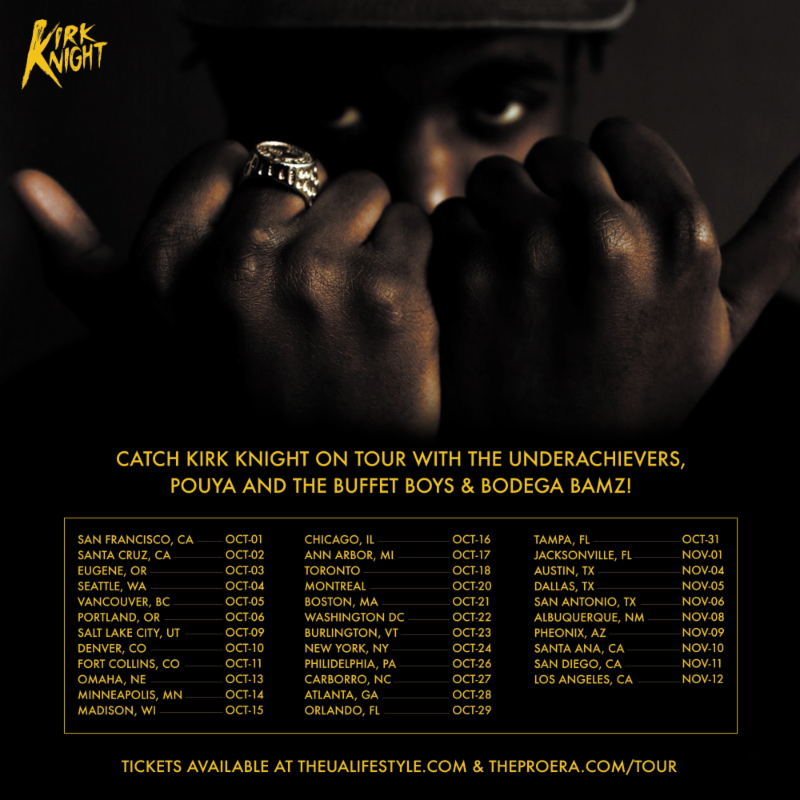 The single release precedes a series of tour dates alongside the likes of The Underachievers, Pouya and The Buffet Boys, and Bodega Bamz through November, which can be seen here. After, he'll join the aforementioned Joey Bada$$ during his own European tour dates. Listen to 'Dead Friends' featuring Noname Gypsy and Thundercat below and pre-order Late Knight Special on iTunes before its October 30th release via Pro Era and Cinematic Music.